Washing makeup brushes is one of the most hectic job for makeup lovers, i know most of you will agree with me on this point. However you can not avoid this task if you want your makeup tools clean and bacteria free which can cause break outs, infections and off course you can not get flawless look with brushes already full of makeup left outs. Till now i have been washing all my brushes with simple way under tab on the hand palm. It does clean the brushes well but take a lot of time rubbing and cleaning them. 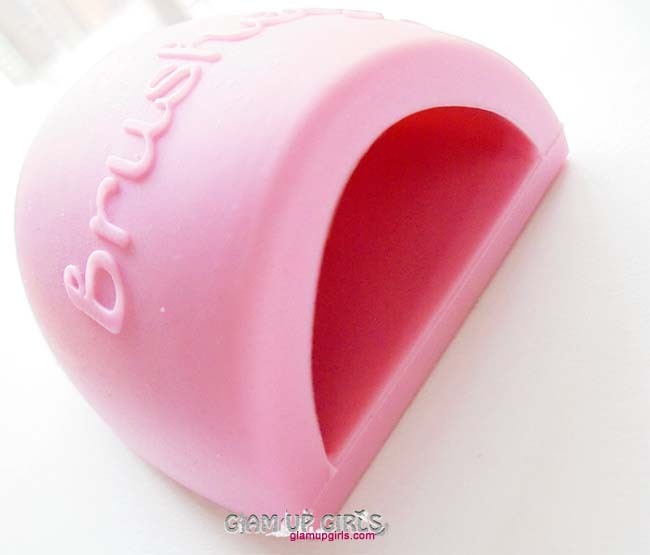 I have spotted Brushegg few days ago on some blog and instantly i knew i need it and here i am with this lovely, cute brush cleaner Brushegg. 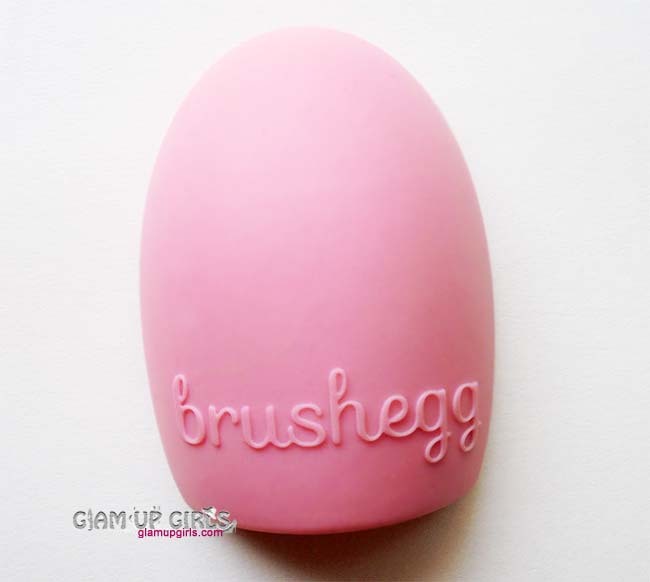 The BrushEgg is used to help with the deep cleaning process of makeup brushes. The BrushEgg is, - Compact - Quick, Easy, Affordable AND Effective! - Reduces the use of Brush Cleaning Solution (which dries out bristles) - Use whichever Soap or Shampoo you choose - Smaller knobs on top used for Foaming & Lathering - Grooves on bottom used to agitate bristles just enough to release product, dirt, and oils without stripping them. Smaller knobs are also ideal for smaller eye brushes (Fan, Liner, Smudge, Pencil) for extra gentle lathering and releasing of dried on products. Especially waterproof mascara and liner!! This Brushegg is made of silicone. 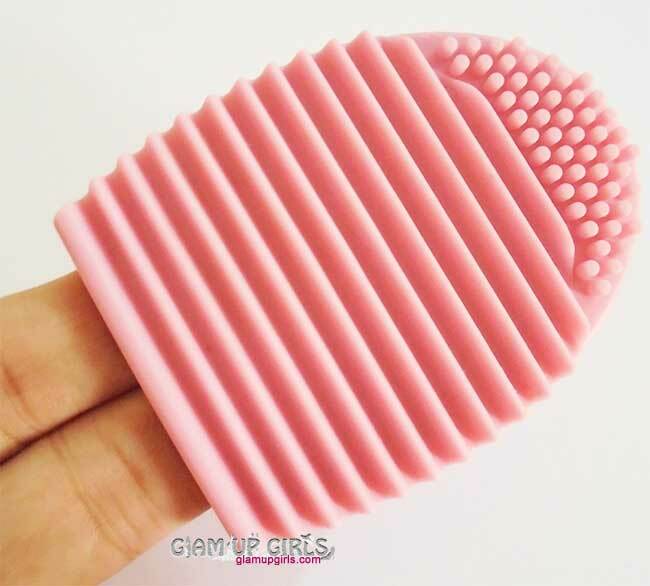 It is of half egg shaped from one side and other side is composed of ridges and small silicone bristles for deep cleaning the brushes. It has space for two fingers on which you slip on it and run through your brushes over it to clean them. If you do not like to slip it on your fingers you can hold it in your palm and wash your brushes. Pour some liquid soap or shampoo which you use to clean your brushes or any regular liquid on the bristles of it and rub your brush to create foam. The smaller knobs are great for small eye brushes, lip brushes or fan brushes. 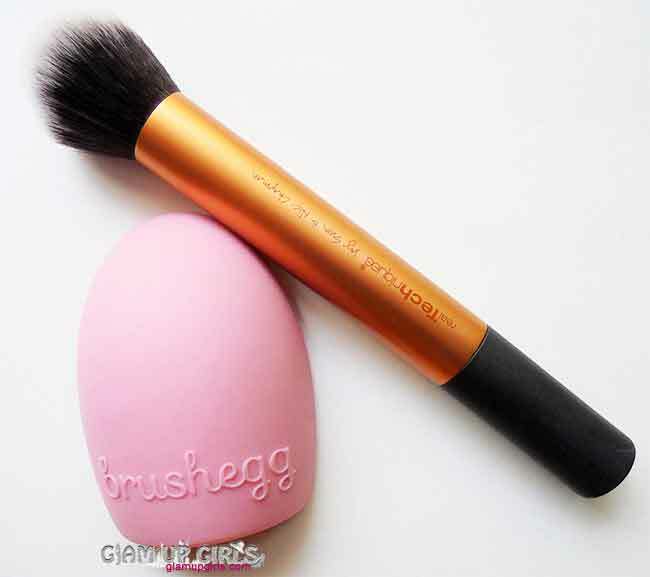 The ridges are best to clean large face brushes like foundation kabuki, blush brushes etc. The surface is not hard and i did not notice any shedding of my brushes hair during wash. It really did cut down the time of washing compared to ordinary methods. 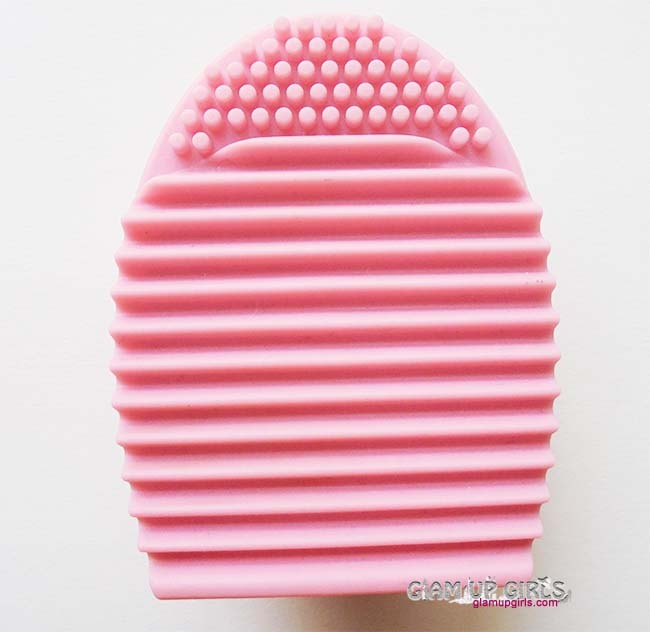 Overall it is great tool to wash and clean makeup brushes quickly and more efficiently.